Developer Insomniac Games and publisher Sony Interactive Entertainment just announced that the third and the last DLC chapter “Silver Lining” of the Spider-Man: The City That Never Sleeps will release on December 21. You can pre-order Marvel’s Spider-Man: Silver Lining for $9.99 on PlayStation Store. In the final DLC “Silver Lining” to Marvel’s Spider-Man: The City That Never Sleeps, Spider-Man must rely on unlikely allies to protect the city from calamity. Watch Marvel’s Spider-Man - Silver Lining: DLC 3 teaser trailer below. "Silver Sable has stormed back to reclaim her stolen Sable International tech. With New York Police Chief Yuri Watanabe on administrative leave following her exploits against Hammerhead, Spider-Man will have to rely on unlikely allies to keep Marvel’s New York safe. We’re also very excited to be partnering with Sony Pictures on the upcoming film Spider-Man: Into the Spider-Verse, in theaters December 14. We are offering a special promotion where users who pre-order the Spider-Man: Into the Spider-Verse film from PlayStation Store will receive a voucher for Marvel’s Spider-Man: Silver Lining*, a dynamic theme, and avatars as their pre-order incentive. As you may have seen at the end of our teaser trailer, we have included Peter Parker’s suit from the movie into our third DLC chapter. Pre-orders for the movie officially start tomorrow and then you’ll be able to unlock and swing around in the film’s version of Peter Parker’s suit once Marvel’s Spider-Man: Silver Lining launches on December 21! It was a real pleasure working in partnership with Sony Pictures and Marvel to bring this suit to the game — and we can’t wait to see what you do in photo mode with it! 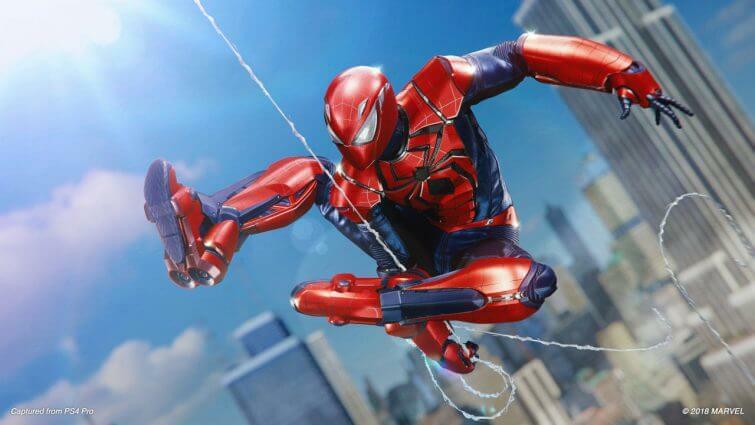 You’ll also be able to unlock the Cyborg Spider-Man suit and the Aaron Aikman Spider-Armor."